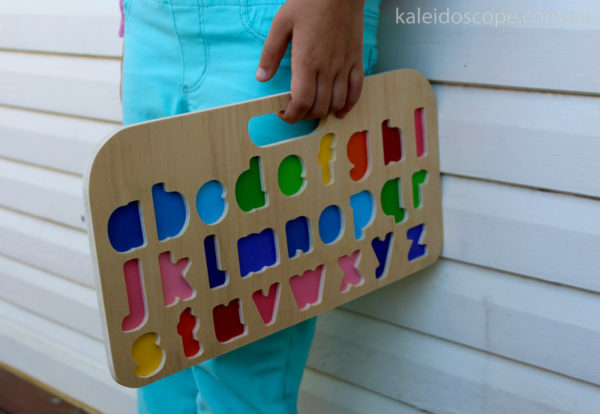 A useful and colourful wooden puzzle for helping children to become familiar with the alphabet, and with the role of letters in formation of words. Its use is enhanced if the companion puzzle of uppercase letters is also available to the older child (KC5525B). 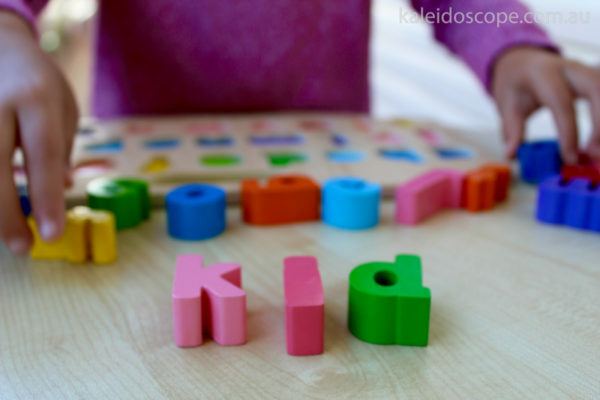 Ask the child to select the letter that his/her name starts with. Repeat this with other family members and pets. 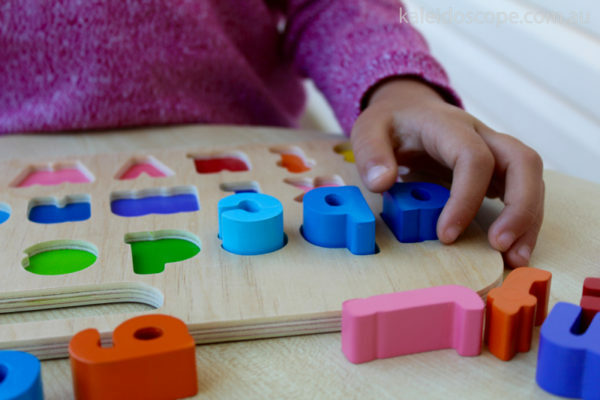 While placing letters in their correct position on the board, it could be useful for the child to learn the sound of the letter and to have him/her think of other words that begin with this same sound. First simple naming words can be formed with the accompanying use of the Lowercase Puzzle. 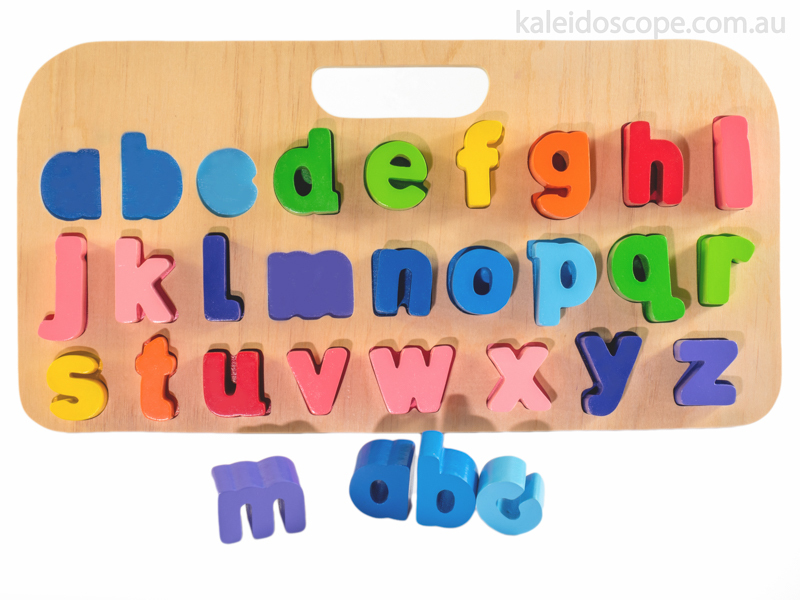 Children can begin to recognise the difference between upper and lowercase letters. Product is constructed from: Wood.